Churchill is located directly beneath the Auroral Oval making it one of the best places on Earth to witness Mother Nature's light show. Our Northern Lights and Winter Nights adventure offers a unique program in which travelers can enjoy watching the dancing skies from directly on the tundra, and experience the incredible culture and warmth of the town and people of Churchill. 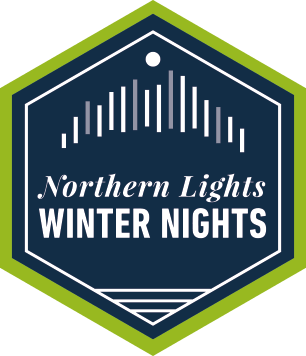 Our Northern Lights and Winter Nights adventure, led by a Frontiers North Interpretive Guide, offers the opportunity to capture this incredible night sky phenomenon from directly on the tundra, surrounded by the beautiful northern tundra landscape and with access to the warmth and comfort of an official Tundra Buggy and the Thanadelthur Lounge. This adventure includes many northern light photo opportunities. Your Interpretive Guide can assist you with some camera settings but be sure to read our blog on northern lights photography. 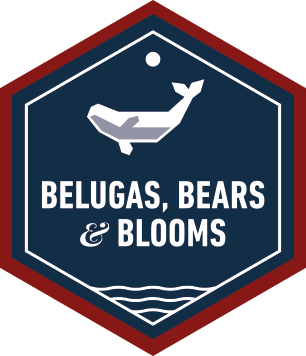 Enthusiast Level: This is our most well-rounded level of departure, with a mixture of cultural and wildlife adventures with fewer people (maximum 20 people) than the Adventurer level. This level of tour is led by a professional Interpretive Guide and offers guests the ability to focus on their adventures - we'll take care of the little details. As the evening sky envelopes the tundra in darkness, we look to the sky from the warmth of a Tundra Buggy, and watch as the heavens put on the sparkling grand finale. Today marks the beginning of my northern lights adventure! I’ve arrived into Winnipeg and have checked into my room at the Inn at the Forks hotel, which is just a short taxi ride away from the Winnipeg airport. This evening I look forward to meeting my Interpretive Guide and fellow travellers at our welcome dinner, which will give everyone a chance to get to know each other and ask our guide any questions about the tour. After a wonderful and hearty breakfast, my fellow travellers and I are shuttled to the Manitoba Museum, renowned for its vivid portrayal of Manitoba’s rich and colourful history, Planetarium shows and Science Gallery exhibits. Our Manitoba Museum program begins with a planetarium presentation depicting the northern lights, followed by an interactive program called “Inuit: People of the North”, which gives us a deeper knowledge and understanding of the traditional lifestyles of the Inuit people. We are able to get a closer look at Inuit art and clothing make of fur, skin, stone and bone and learn about how these resources were integral to the Inuit community. After lunch our day at the Manitoba Museum continues as a Museum representative leads us on a private guided tour of the Museum, which focuses on galleries that complements our recently gained knowledge of Inuit communities and the history of the fur trade in the North. At the end of our day, we shuttle back to our hotel to prepare for a group dinner and a good night rest. We begin our morning with breakfast at our hotel restaurant, after which we check out of our rooms and hop on a shuttle to the Winnipeg airport for the short flight Churchill. Upon our arrival, we are taken on a short interpretive tour of Churchill before checking into our hotel. In the afternoon our Interpretive Guide reviews some northern lights photography tips in preparation for our night of northern lights viewing and photography. After dinner at a family-run Churchill restaurant, we gather our photography equipment and layers of warm clothing and get ready to enjoy the dancing skies. Our Tundra Buggy driver takes us far away from the lights of town, across the Churchill River, in order to ensure we have the best view of the skies without the glare from the lights of town. Our Tundra Buggy pulls up to Frontiers North's Thanadelthur Lounge, where we can view the northern lights from inside by peering out through the panoramic windows, or we can climb onto the roof-top observation deck for an unobstructed view. We spend our late night hours capturing incredible images of the northern lights as they streak across the sky and once we’ve got our fill for the night, we return to town for a welcome sleep after a great first day in Churchill. 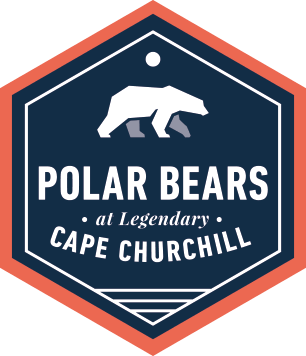 After breakfast in the hotel lobby, we bundle up in warm clothes for our Churchill and area tour which comprises of an exploratory drive past various points of interest in and surrounding Churchill while our Interpretive Guide provides interpretation. Our driver stopped briefly at Manitoba Conservation’s Polar Bear Holding Facility so we could get out and take photos. After a delicious lunch at a locally-owned restaurant we head over to the Churchill's Itsanitaq Museum, home to an internationally recognized collection of Inuit art in stone, bone and ivory depicting the life and spirituality of a people deeply rooted in the north. The collection comprises of almost 1000 pieces dating from approximately 1700 BC to modern times. The museum also houses a gift shop where visitors can purchase Inuit art and carvings. This evening we get to take part in a very special culinary experience. From the town of Churchill, we embark on an official Tundra Buggy across the frozen Churchill River where we experience stunning cuisine under the northern lights (northern lights viewing weather permitting). After dinner and spending some time taking photos, our Interpretive Guide and Tundra Buggy Driver take us back to town. I crawl into my comfy bed excited for what tomorrow will hold. In the morning I grab a quick breakfast from the lobby hotel before meeting the group. Today we’re departing for an interpretive snowshoeing program led by a Churchill naturalist that gives us the chance to trek through boreal forest, across Precambrian rock and along the shore of the Hudson Bay. After we head back to Churchill for a delicious lunch and a free afternoon to explore the rest of Churchill. Time for souvenir shopping! After meeting up for our dinner reservation in town, we head out once again to the Thanadelthur Lounge for northern light viewing. My fellow travellers are excited for the night ahead but we take a few moments to relax before heading outside. We sip on a glass of wine, share pictures and tips before bundling up again to take photos. This morning we got to sleep in a bit. I wake up and take a walk down the Hudson Bay coast before meeting the group for our lunch reservations. After lunch we bundle up before heading out on a dog sledding excursion led by local dog musher Dave Daley. Once we get to know some of the sled dogs, he explains the basics of dog sledding and the importance of dog sledding to the northern communities. Soon we prepare to take a mile-long ride through the boreal forest. After dog sledding we have another delicious dinner in Churchill before heading out to see the northern lights one last time. Tonight I made sure to turn my camera off, lay down on the tundra, and just stare at the northern lights absorbing their beauty. When the northern lights die down we head back across the Churchill River to our hotel. Today is our last day in Churchill. After breakfast we head over to the Parks Canada Visitor Centre, which has detailed displays that reveal the remarkable history of Churchill through wildlife dioramas and exhibits that portray the history of the fur trade in the area. To wrap up our time at the Parks Canada Visitor Centre we hear a presentation on the history, culture and wildlife of the area. After our final lunch in Churchill, we return to the Churchill airport for our Winnipeg flight. Once we land we return to the Four Points by Sheraton Hotel to check in for our last night of our tour. We have one more big group dinner as a send off for all of the travellers who have come from all over the world to see the northern lights in Churchill. It’s my final morning in Winnipeg. My northern lights adventure was such a wonderful experience and I’m so excited to go home and show everyone the amazing photos I’ve captured of Churchill’s incredible northern lights. Across the frozen Churchill River a remote dining experience awaits at 58° North latitude, surrounded by wilderness beneath the northern lights. Imagine dining beneath the northern lights with a world-class meal that features regional and local fare. 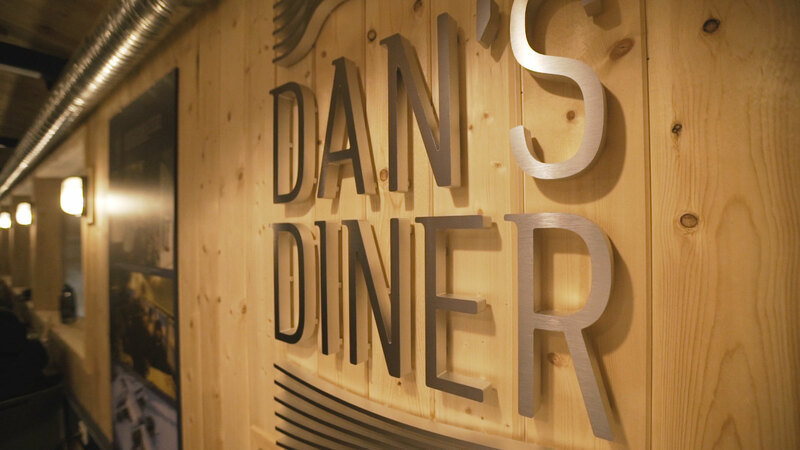 This is Dan’s Diner, a remote culinary adventure like no other. Available on select Northern Lights and Winter Nights departures. Visit dans-diner.com to learn more. "We had a marvelous time. The staff was fantastic. The Tundra Buggy took us to a dark area where we didn't have light interference. We have two amazing nights. The first had blues at the top, reds at the bottom and the curtains moved quickly. They even danced for us. The second night was more of your classic NLs. Slow, rippling curtains of green but sometimes they seemed to cover half the sky. It exceeded our expectations. A number of our friends had disappointing experiences in Norway and Iceland. Churchill is the best spot since you need it really cold to avoid clouds and snow. "